Before you even jump into this blogosphere, it’s always recommended to choose the best web hosting. And if you don’t then it would be a disaster. Many people get so irritated of their web hostings that they finally give up. There are many signs that you should change your web hosting for sure. A bad web hosting is always the worst thing for your website. Many people are afraid to move a site from one host to another and they don’t change their web hosting. Well, everything is based on what kind of quality your web hosting provides. Many Reasons To Change Your Current Web Hosting. If you want to start your own blog and make money from it then search for the best hosting in the market. Depending on the size of your website, you can choose the plans. But if you’re getting the bad signs then it’s time to change the host. Let me point out some signs. If you see your website goes down every week then your web hosting is the culprit. No one wants to look the hard work go away. You know that the website is for everyone, people of your country and all other who are in different places of the world. If your website goes down again and again then it puts a bad impression on your readers. It would affect the quality of your website. You should know that downtime of the website also affects its SEO. According to Google, the websites with around 99% of uptime are considered as loyal. Search before you choose a new web hosting. #2. Their Customer Support Doesn’t Care About You. This is one of the worst things any web hosting can do. When you’re in a problem and the web hosting support doesn’t even take your call or live chat. Well, it’s really irritating. From all those years, I have experienced that a better custom support what makes a web hosting better. When I had to wait for 1 hour to get a response from the support and then I realized that it’s the time to change my web hosting. #3. You Get Database Error. As you know that the database of your WordPress website is of MySQL and if the database server of your web hosting is down then you will get an error. “Error Establishing a Database Connection“. Though when you start your new blog or shift from one host to another then due to the wrong credentials, you get this error. But if you get it on regular basis then it means the MySQL server is going down. Your web hosting is responsible for this problem. That’s one of the signs that you should change your web hosting. #4. You See 500 Internal Server Error. Yes, this is also because of your bad web hosting. Though sometimes, due to the memory exhaustion or any plugin, you can get this error but if you see it regularly, then your web hosting is responsible. You can fix 500 internal server error if it’s because of any plugin or something else. But after all the solutions, you don’t get any result then point your finger to the web hosting providers. If the customer support is good then it can be solved within a few minutes. But why would you waste your precious time? Just switch the web hosting. #5. The Speed of Your Site Is Slow. Even after doing all the things to speed up your website, it’s slow. Well, the reason is that your web hosting isn’t enough for the number of visitors your website have. Whether you change the plan or change the web hosting. Even after minifying and GZIP your website, the speed doesn’t improve, just switch to any good service provider. I was trying to boost the speed of one site of my client and found that the web hosting was not able to provide a better speed. Even after minimizing the HTTP requests, nothing was changed. #6. Your Website Gets Suspended For No Reason. You should know that every web hosting company has some rules which should be followed by its users. If they find any violation, they suspend that account. But if your web hosting suspends your account for some silly things then you should change it. They should at least send you a notification. Even after a sensible talk, you don’t get any positive response, you should change the web hosting for sure. #7. If You Don’t Get Full Permission. A few web hostings control your website their own. They don’t provide the full control to the users. Whether it’s about the permission to handle your cPanel or something related to WordPress folder, you should have access to everything. Just a couple of months ago, I was trying to change the permissions for the image upload and I was not allowed. I talked to the web hosting providers and they told me not to change. They did it after a long conversation. Well, this is one of the signs that you should change your web hosting. #8. Your Website’s Size Has Grown. If you are still using the starter plan for your heavy website then it’s the time to upgrade. For starting a blog, you can use the basic plan of a web hosting but once it gets busy, you should maintain the speed by upgrading or shifting to any other web hosting. Every web hosting has the different plans based on the number of visitors your website have. For better performance, try the bigger plan which is good for the heavy website like yours. For a shared hosting, it’s hard to handle a heavy website. So you should go for a managed web hosting like WP Engine. Are You Ready To Change Your Web Hosting? If you’re facing any of the problems mentioned above then you should choose a better web hosting than the current one. 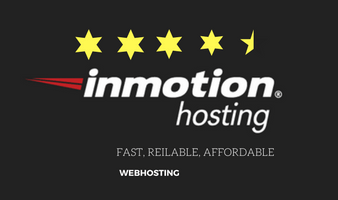 Before you decide to buy a new web hosting, you should read the reviews, compare the uptime, price and many other things. 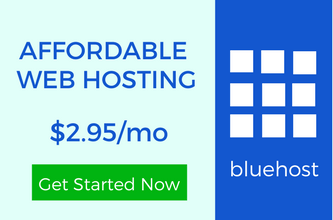 I would recommend Inmotionhosting, Bluehost for better performance and value for money. Do you get any of the signals? The above-mentioned are the signs that you should change your web hosting. Choose a reliable service provider which can help you in every possible way. If you have any query then you can connect with us via Twitter and LinkedIn, and Facebook. 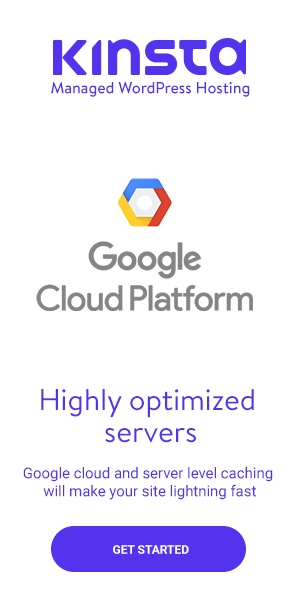 What a wonderful points on the signs that indicate we need to change the hosting service. No wonder why your site loads way faster than anyone. If you can highlight why your site is faster, which hosting you use, shared, cloud or dedicated, which plugins you use and yeah what difference is your own designed theme “blogging luv” from others? It can help us to understand more about improving the site load as well. Your web hosting plays a crucial role in the speed of your website. There are many famous web hostings like Siteground, Inmotionshosting and if you’re running a bigger website then managed hosting would be great. I would recommend WP Engine for that. I use shared hosting but with a better plan. And the theme is better than any other theme because of its size. It’s just 40KB. Thank you very much for further clarification and information. You have nicely mentioned all the reasons which make negative impact on our online business. If someone faces all the problems which you have discussed in your article.Then he/she must change their hosting immediately. Such type of problems occur quite often. People neglect due to some mixed thoughts but they should be aware of everything. It’s only about your web hosting, it’s about your blog, your career. These are certainly some of the big signs where a webmaster or bloggers need to change their web hosting company. I had also faced these type of issues with my previous web hosting provider and change my hosting company. A poor web hosting can cost you a fortune. You should never neglect such signs. Especially, the database error. It’s so annoying to your readers. I am glad that you shifted to a better web hosting.